Which are the best neighborhoods in Barcelona? What city in the world could be more amazing than Barcelona? With its cosmopolitan feel, breathtaking architecture and perfect climate, it’s really the city that has everything. Do you know which neighbourhoods in Barcelona are the best? Every area in this beautiful city has its own personality. However, El Born, Eixample and El Raval are the most demanded locations to live. The US Vogue referred to El Born as the Brooklyn of Barcelona. Thanks to its many incredible up-and-coming artisanal outposts. Indeed, in El Born the famous historical landmarks such as Basílica Santa Maria del Mar and the Palau de la Música Catalana mix with artisanal shops. 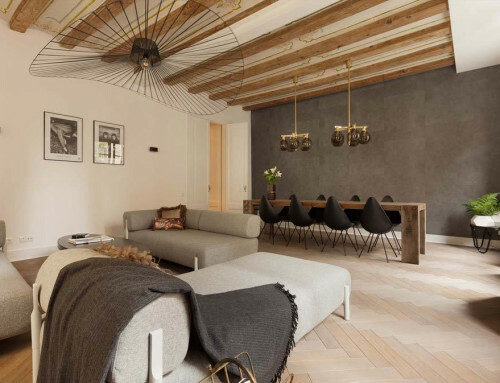 They bring a fresh take on fashion, dining, and design. The narrow streets in this area create an intimate charm that often lacks in the major cities. 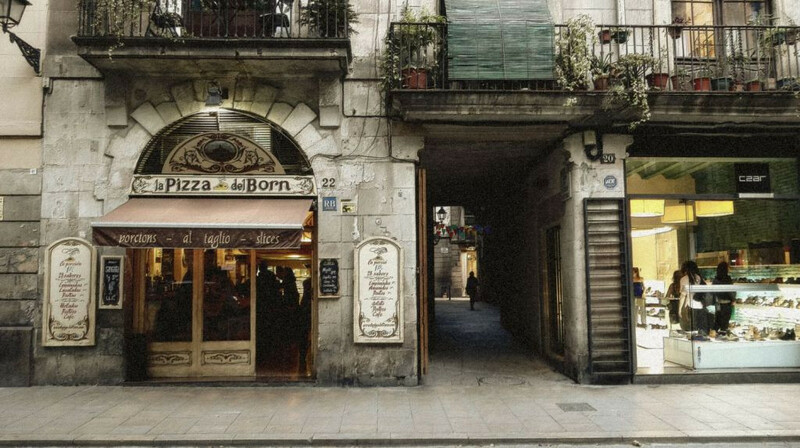 El Born makes up a small part of the Ciutat Vella, the oldest neighbourhood of Barcelona. El Born is just minutes away from the beach and not too far from the new town either. The area is full of life, packed with restaurants, cafes, bars and boutique shops. Most of the streets are pedestrians, so don’t worry about heavy traffic. Despite this, it’s still incredibly well communicated with the rest of the city thanks to metro and bus connections. 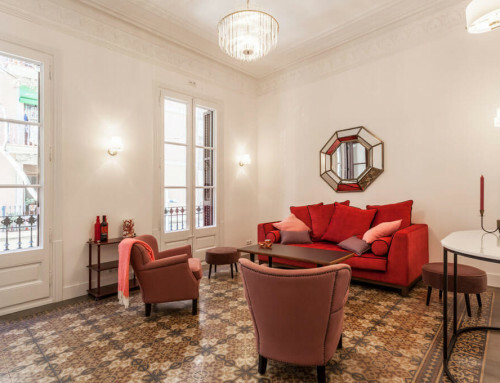 El Born is the perfect place to encounter lovely boutique apartments that combine the cultural and historical features of the neighbourhood with style and necessities of modern life. 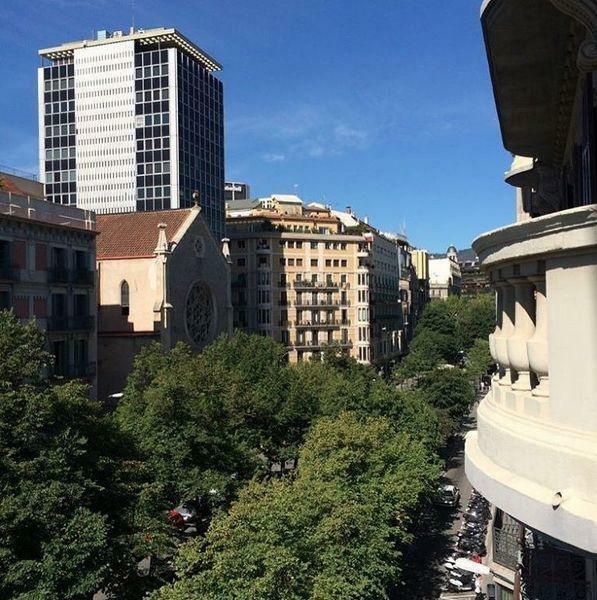 The incredibly popular and lush L’Eixample is one of the most popular neighbourhoods in Barcelona. It was built in the second half of the 19th century. It is a magnificent example of early urban planning in the center of Barcelona, structured in a grid-like formation by a visionary architect Ildefons Cerda. He designed the neighborhood to meet all needs of its residents by integrating hospitals, schools, markets and public gardens into the grid while keeping the roads wide and sunlit. Eixample is known for its cut corners which make intersections feel less crowded and create additional social space for its inhabitants. While traffic in the neighborhood is quite heavy, the city has already made plans to reduce car pollution by 21 %. The plan is based on creating so-called superilles (superblocks), mini neighborhoods around which the traffic will be redirected. This involves liberating almost 60 % from traffic to transform them into pedestrian areas. The old roads will be repurposed into social spaces. 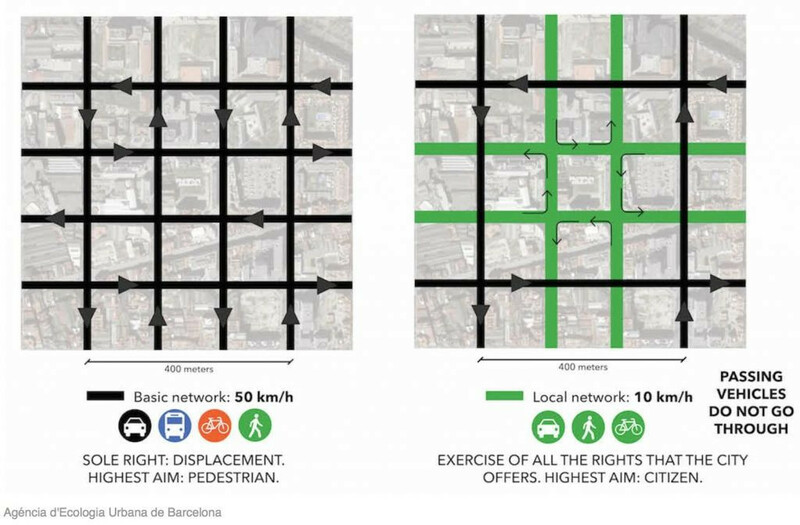 In Eixample, one superblock will be made up of nine blocks of the existing grid. Only local businesses and residents will be allowed to entre into the superblock by scooter, car or truck at a reduced speed of 10km/h. This will significantly increase the quality of life in one of the most popular neighbourhoods in Barcelona. This makes an investment into luxury apartments a very attractive idea. The captivating aspect of Eixample is the presence of modernist architecture of the famous Antoní Gaudi and his contemporaries. The buildings are spacious but don’t lack the feeling of community as it’s common in urban areas. The flats in the area are modern, well taken care of and feature high-ceilings and large windows. It’s a perfect neighbourhood for those craving a touch of history, modernist architecture, luxury while maintaining and catering to the perks and needs of contemporary living. Situated on across Las Ramblas from the Barri Gotic (The Gothic Quarter). 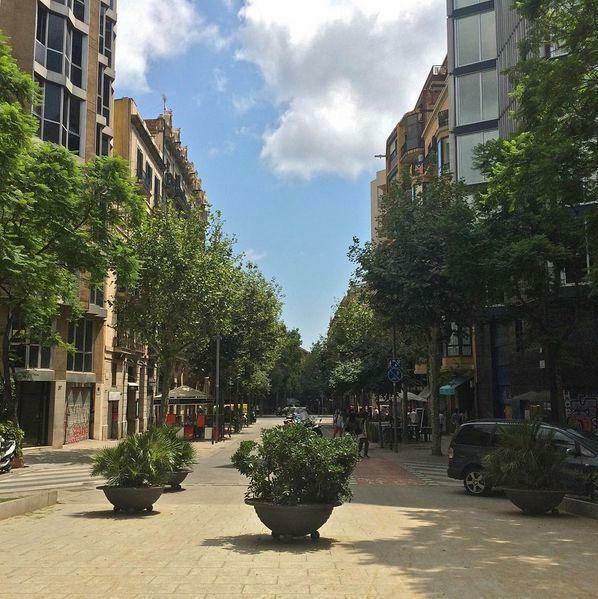 El Raval was urbanized gradually without a solid expansion plan in place. Narrow streets and mostly vernacular architecture characterize this area which lends the district plenty of charm and charisma. 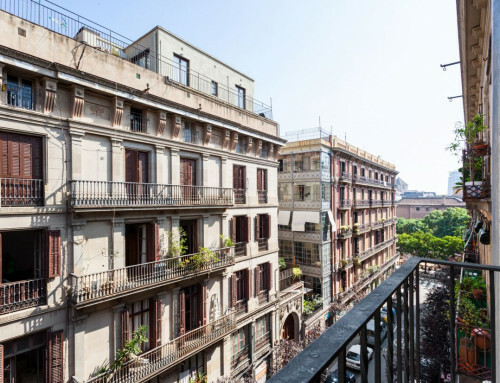 Being the closest district to the port of Barcelona, it’s no surprise that at the start of the 19th century the area was strongly associated with immigration, poverty and other social problems. Even 20 years ago, the district was still considered as a no-go place. 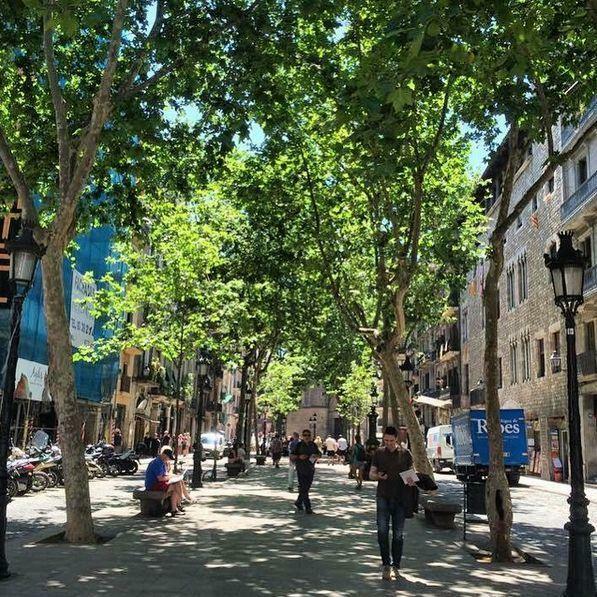 However, since 1988, the Barcelonian city council have been working to clean up and revive the area. 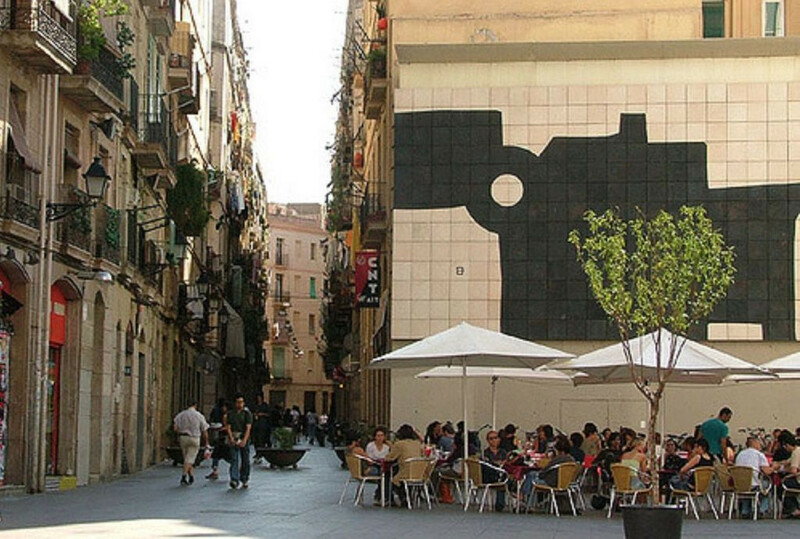 Thanks to their efforts, El Raval has transformed into one of the most lively and creative neighbourhoods in Barcelona. Attracting artists, musicians, and designers. You can find here important cultural landmarks such as the MACBA Modern Art Museum, Centre de Cultura Contemporània de Barcelona, and the Rambla del Raval. The rejuvenation of the area has opened the door to smart and chic bars and restaurants. You can stumble into classic Modernista bars such as London Bar or Marsella (both allegedly frequented by Hemingway) or opt for something more hip and contemporary such as Marmalade or Betty Fords smooth lounge bars. Today, El Raval is home to diversity, intercultural atmosphere and artistic expression offering its share of clandestine plazas where the history mixes with modern life. When we decide to acquire an apartment, we always bet for the best neighbourhoods in Barcelona. Places where our clients can feel the vibrancy and the essence of this amazing city. Excellent tapas spots, parks, green areas, and pedestrian streets are some of the lovely surprises you will find when you visit these areas of the city. If you have any questions about living options in the best neighbourhoods of Barcelona, please don’t hesitate to contact us! 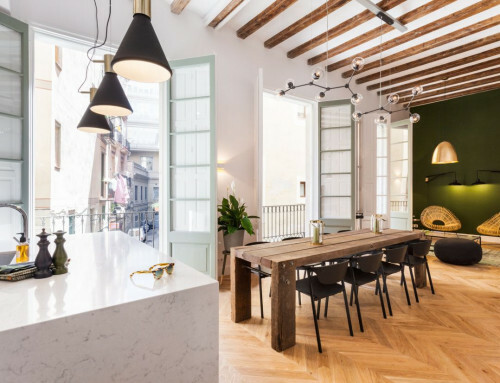 El Born is chic, beautiful, and one of the most sought-after neighborhoods in Barcelona. Here you can find some of the coolest bars and restaurants of the entire city. If you would like to live in this charming area of Barcelona, check out our apartment in Carrer de la Carassa that is now on sale. 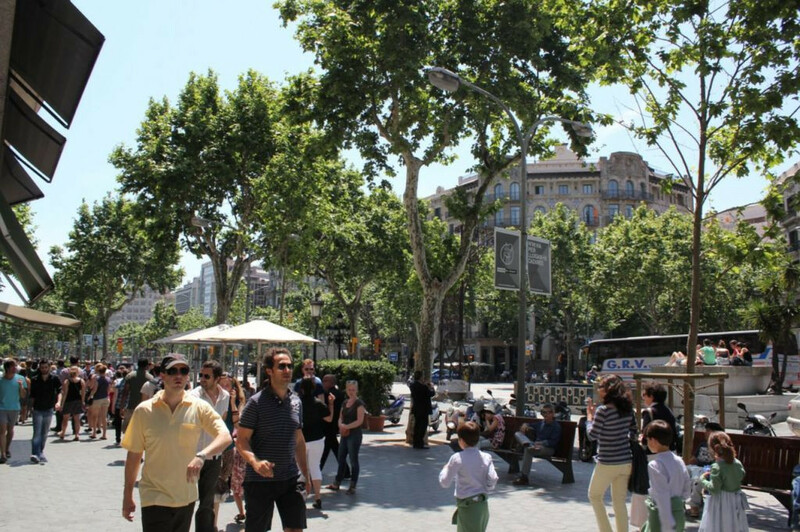 Rambla de Catalunya is a major street in the Eixample district of central Barcelona. It is one of the city’s trendiest streets, with many international fashion shops, and is lined with lime trees. Carrer d’Enric Granados is perfectly situated in the centre of Barcelona. 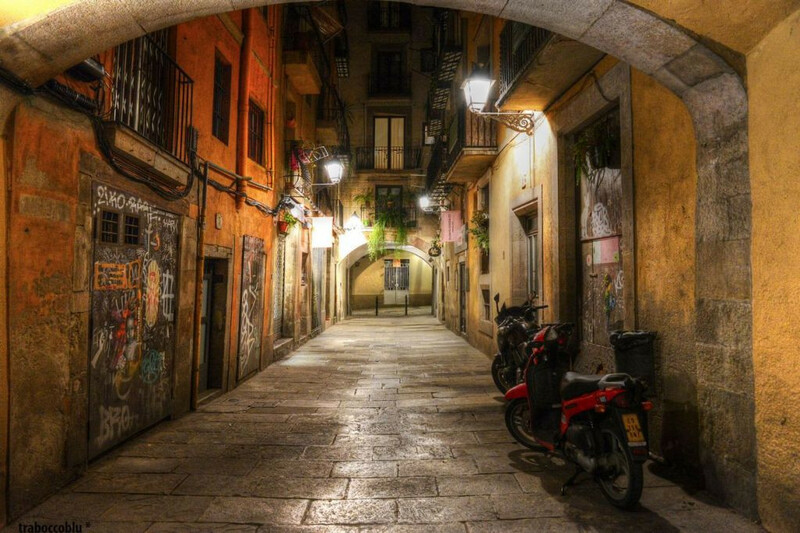 As much as this street is a great place to be a resident, it also is diverse enough in ‘things to do’ that it should hold a more prominent place in Barcelona’s already rich collection of tourist favourites. In Nobohome we have a beautiful luxury apartment for sale on this amazing street.